In the June/July 2011 issue of Learning & Leading with Technology, the feature article by Arne Duncan, the U.S. secretary of education , tells us how we can “Harness the Power of Technology” in the classroom. As I read the article, I felt challenged as a religious educator! Classrooms all around us are changing! Yet, the methodology we use for religious education is changing very slowly. Innovative teachers like you are leading this technological transformation in our classrooms today. You use powerful resources to engage students, deepen their understanding, expand their creativity, and help them solve problems. Because you have the passion, knowledge, and experience, you can prepare your colleagues to follow your lead and play a pivotal role in our national effort to transform our schools into innovative learning environments. I understand that you face considerable challenges as you create digital learning environments. Some schools are rich with technology but are still stuck in the 20th century model of teaching and learning. Some teachers still see technology as an add-on to their lesson plans rather than integral to the process of teaching and learning. Much like the printing press allowed people to learn from books as well as teachers, digital technology offers learners powerful new environments that include simulations, animations, scaffolded and guided practice sets, and experts who may be far away. With your firsthand experiences, you are uniquely qualified to articulate, showcase, and explore the power of technologies for learning. Are we ready for this classroom transformation? What is holding us back from moving into becoming a 21st Century catechist? How do we immerse ourselves in the transformation that is already taking place around us? Let us begin a conversation to see what we are thinking and feeling! I’m back after a couple of weeks of giving presentations and getting ready for the Summer Institute for Technology in Ministry that is being held in the Diocese of St. Petersburg, starting next week. Continue to visit ACyberPilgrim during the summer weeks. Of course – YOU – are an important part of the blog conversation. Come and join the conversation during the summer weeks. Continue to watch for articles that will provide you with ideas to implement in your catechetical ministry. 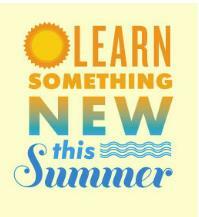 If you are wondering about how you can learn more about technology during the summer, visit the Edutopia website LEARN SOMETHING NEW THIS SUMMER (http://www.edutopia.org/blog/professional-development-series )! Yes, the audience for these materials are focused on school educators for every other subject, but religion! I would encourage you to approach with an open mind! Remember that educational technology as a field has over 20 years of experience. However, religious educators were not often part of these earlier conversations. The result – other subjects offer us “best practices” that we can quickly adapt to meet the needs of students in our religion classrooms. Go to “Techniques for Teaching Vocabulary to Elementary Students” (http://www.edutopia.org/blog/teaching-vocabulary-elementary-gaetan-pappalardo) . Is there anything here that can be applied to religion vocabulary in the classroom? If not, what has worked for you? Would you be willing to share these “best practices” with others via this blog? Just click on “comments” and add your suggestion! Check out the “2011 Summer Rejuvenation Guide: Ten Teacher Tips for Getting the Most Out of Your Summer (http://www.edutopia.org/summer-rejuvenation-classroom-resource-guide ). There may be ONE suggestion that YOU are looking for!